HÀ NỘI – Seeing share prices tumbling, some companies have decided to buy back their shares in an effort to increase their value. Lam Sơn Sugar Joint Stock Corporation (LSS) decided to repurchase six million of the company’s shares, equivalent to 8.6 per cent of outstanding shares, on the HCM Stock Exchange, after its shares lost over 33 per cent of their value in the last four months. The transactions are expected to happen from December 1-31. LSS shares have fallen below the par value of VNĐ10,000 a share since early this month, a loss of 33.2 per cent from the peak of VNĐ15,000 on June 26, and a loss of 15 per cent since the start of 2017. At this price, the company will likely spend about VNĐ54 billion for the repurchase. The performance of sugar makers has slid this year after a strong showing in 2016. 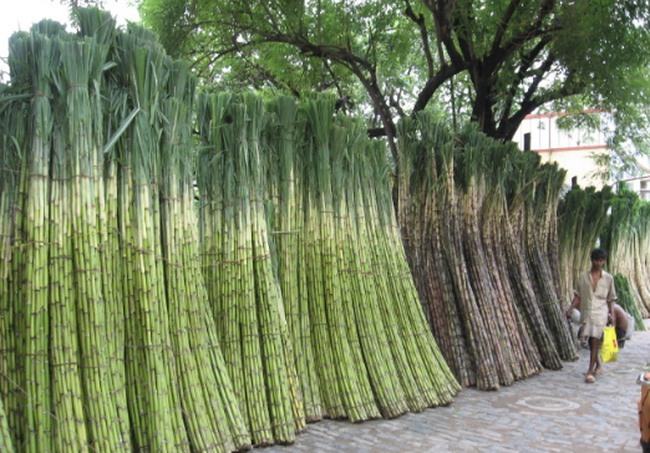 Revenues of Lam Sơn Sugar declined 53 per cent year-on-year to VNĐ214 billion (US$9.4 million) in the first quarter of the fiscal year 2017-18. Its net profit, at just over VNĐ12 billion, was just one third of its profits over the same period in 2016. In 2016, the company’s revenues and pre-tax profits increased 18 per cent and 38 per cent, respectively. The poor result could be blamed on falling sugar prices on the world market, currently being traded around $15 per pound of sugar, down sharply from $24 per pound at the end of September 2016. Another sugar company, Thành Thành Công Tây Ninh JSC (SBT) is also considering a repurchase of 83.5 million shares, or 15 per cent of outstanding shares, after its shares plummeted 50 per cent in the last three months, from over VNĐ41,000 per share in early August to just over VNĐ21,000 on Monday. The company will seek shareholders’ approval for the repurchase programme, which is expected to take place during daily trading on the stock exchange in the shareholders’ meeting on November 20. Earlier, the company’s trade union registered to buy five million shares of the company for long-term investment purposes from November 15 to December 14. After the merger with Biên Hòa Sugar (BHS) on September 6 this year, the total assets of SBT increased from VNĐ7.8 trillion to VNĐ19.4 trillion, of which equity capital is more than VNĐ6.9 trillion and liabilities were nearly VNĐ12.5 trillion. The company holds about 30 per cent of the domestic sugar market share. Besides sugar firms, garment manufacturer Everpia JSC (EVE) has also announced a repurchase programme of three million shares, equivalent to 7.1 per cent of its capital. The company’s shares have lost about 32 per cent of their value this year after it reported gloomy business results in the first nine months: the company posted VNĐ79.7 billion in net revenues and VNĐ32.4 billion in net profit, down 62 per cent and 50 per cent year-on-year, respectively. Hoàng Quân Consulting-Trading-Service Real Estate Corporation (HQC) has decided to buy back a maximum of 10 million shares, equal to 2 per cent of outstanding shares, to maintain the share value after it plummeted 50 per cent this year to around VNĐ2,600 per share.